Vibgyor (Violet, Indigo, Blue, Green, Yellow, Orange, Red) colors are found by modern science in white light or sunlight. But they have been discovered thousands of years back by ancient Indian seers through Vedas. Atharva Veda (5:30:15) says that Sun rays save us from certain causes of death. Matsya Purana clearly states that SUN protects our health. 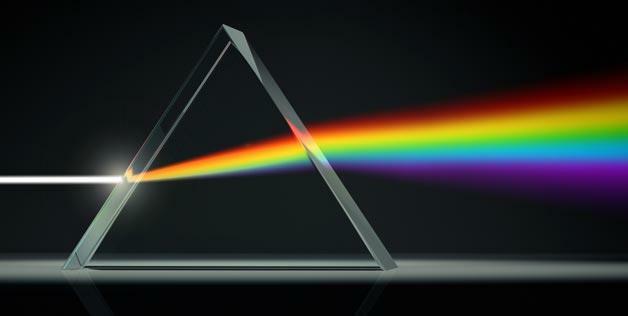 It means, 7 different colors of rays emitting from Sun, will give 7 different energies. Sun temples built in Konark etc places in india are seen with 7 colored horses chariot. 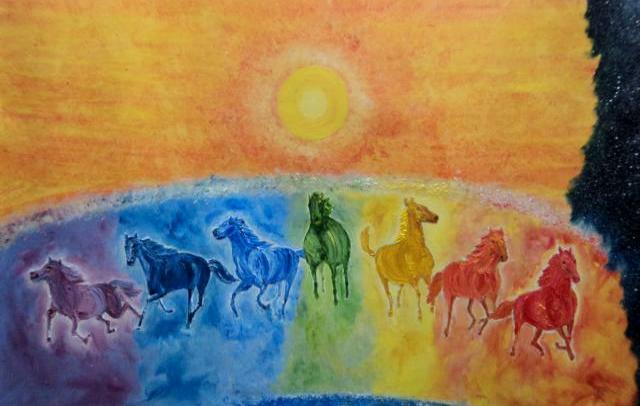 Sunrays and its seven colors can be used in Color Therapy. This is also called as Chromotherapy or Chromopathy. Sun causes motion, keeps the water and air moving, and elements of life active on earth. Sun is pure consciousness and because of it, we see, learn and gain knowledge. Prasnopanoshad states Sun is life of all living bodies. Sun is my eyes, Air is my life, Space is my Soul, Earth is my body. 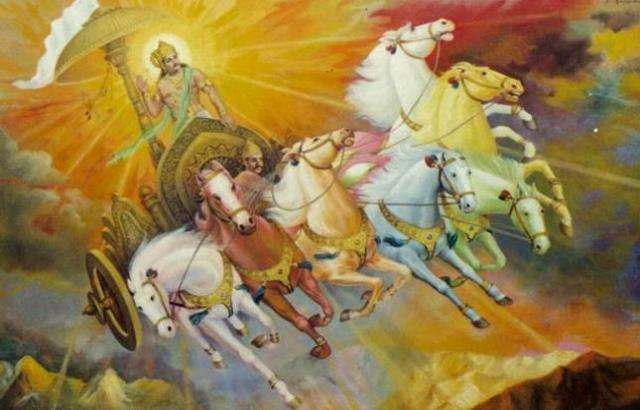 The famous Aditya Hridayam or Aditya Hridaya Stotra was narrated by sage Agastya to Lord Rama, during war with Ravana (Refer Yuddha Kanda, canto 107 of Valmiki Ramayana) to refuel himself. It means Prayer to Heart of Sun. Agastya states that, whoever recites it daily when Sun is Shining brightly, is never troubled by enemies, is able to conquer them. Also, all worries, anxieties and fears vanish. It gives peace of mind, confidence and prosperity. There are other countless benefits of this stotra. Modern science lies to us that gazing at sun can make us blind. But gazing at rising sun for few seconds every day can cure many diseases. The concept of offering Surya Arghya existed since thousands of years in India. Sunlight also cures many skin diseases by direct transmission of Vitamin-D.